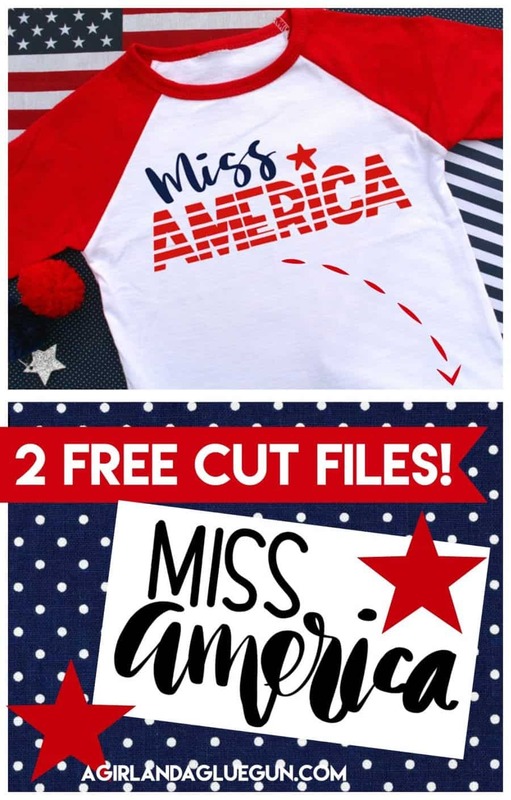 Today I’ve got so many fun free cut files for you –perfect for the Fourth of July! 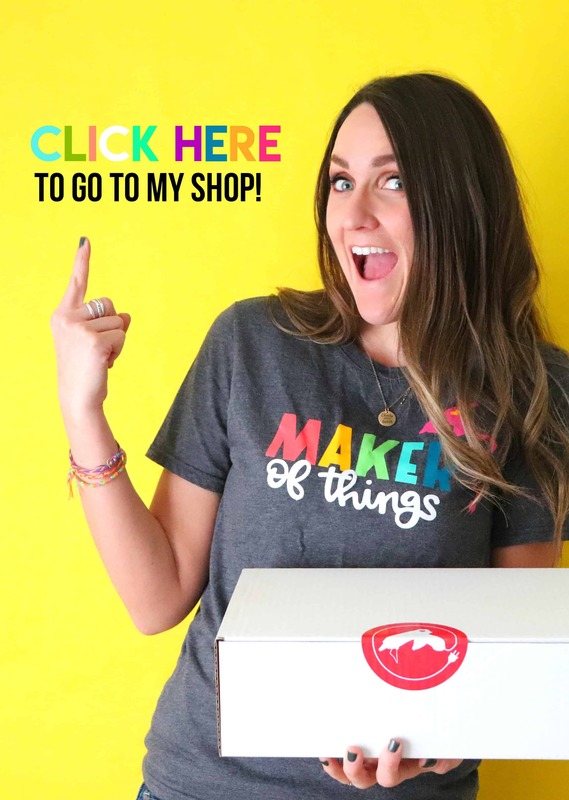 (and an awesome vinyl giveaway at the bottom! 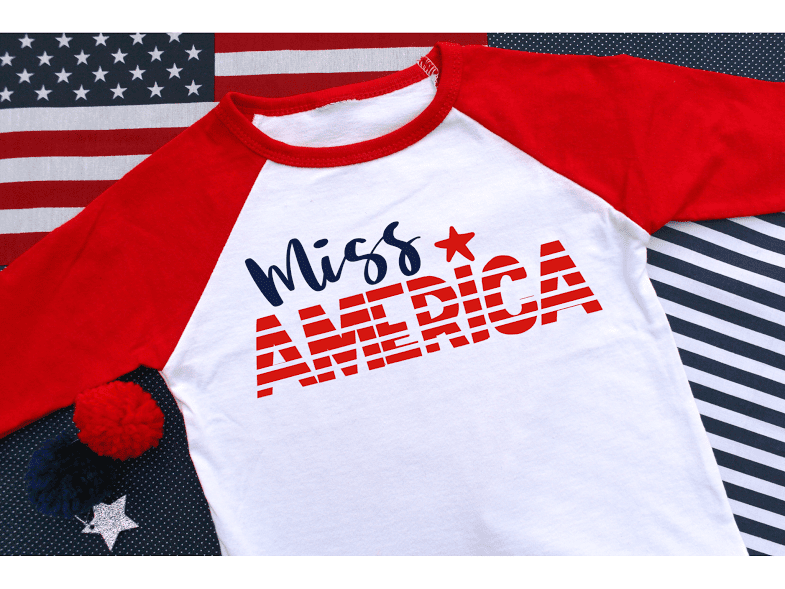 Here is a closer look at mine… Miss America! I originally thought it would be so cute on a toddler t-shirt…which is what this raglan shirt is. But now I want one for me! Also a note. 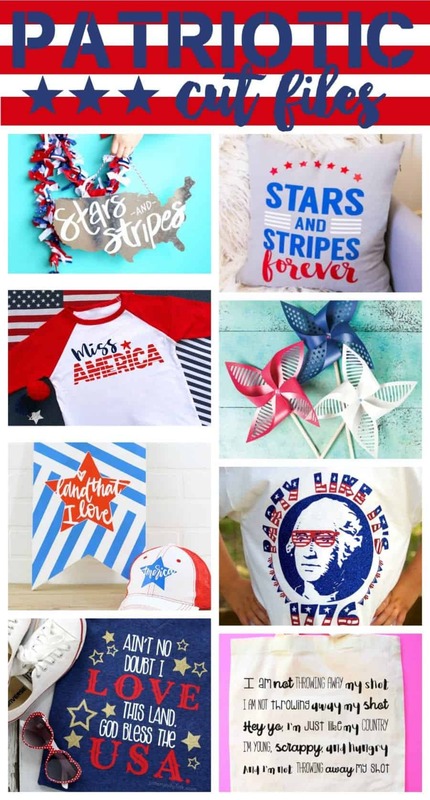 The cut file comes with America solid. I used my slicing tool in silhouette studio to add the stripes!